Kenny and I had the pleasure of seeing one of our favorite bands of all time twice in one month. 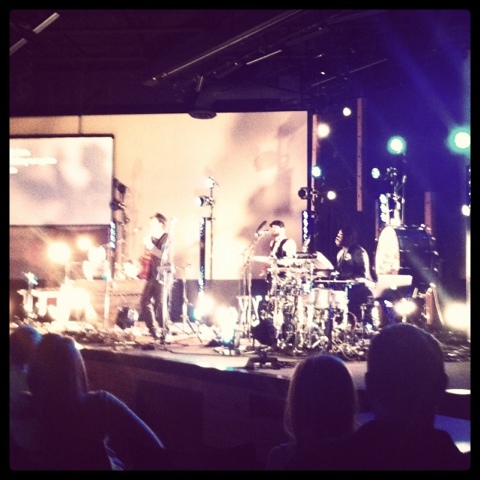 This band is called Gungor. They label their music as liturgical post rock, and even if you don’t know what that means, it in no way hinders connecting to their music. What I find most amaze about them is that everything they do is very intentional and interesting. It’s very rare to find a band where the musicality and the lyrics can stand alone independent of one another but when combined create a most beautiful compliment. Not only is their music thought provoking, spiritual and quirky, but their style is on point as well and you can almost feel the music through their fits (outfits). 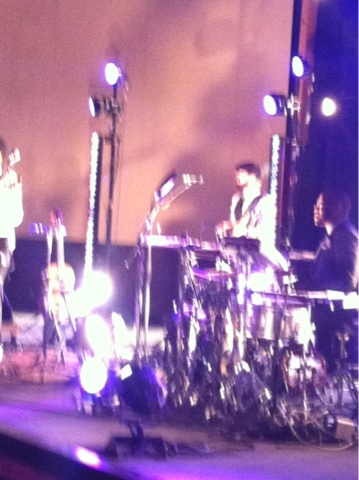 From the Cellist to the bass player, the drummer, and Michael and Lisa, the leaders they are the complete package. 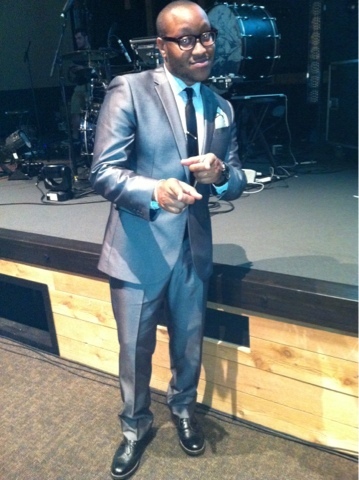 Drummer, Terence Garfield a.k.a. our bro!! We love you! 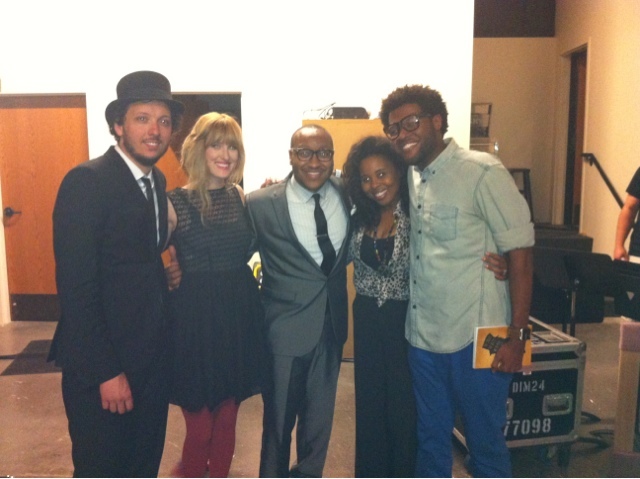 Michael and Lisa Gungor, and their beautiful daughter and Terence Garfield. 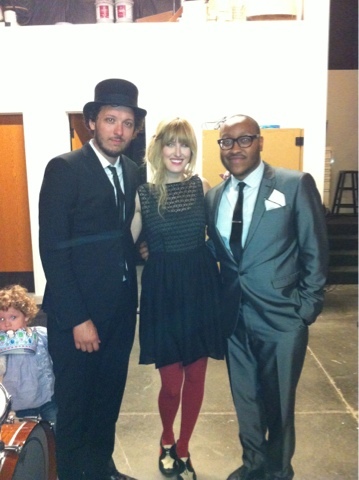 I am a huge fan of Lisa’s laced dress and colored tights and the fellas look pretty dapper. I’m totally feeling Michael’s Top hat and Terrence’s handkerchief, two great statement pieces. This song really means a lot to me and Kenny. I’m sure you will dig it as well! Another one that we love! !